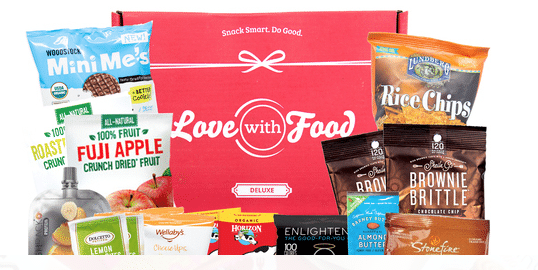 Love with Food is offering up a big discount when you order one of their snack boxes! They offer healthy snack options, including natural, organic and gluten-free snacks, starting at just $19.95 a month! But when you go here, you can score your first box for just $11.95! All snacks are all-natural or organic and contain no artificial flavors, colors or preservatives. Shipping is FREE! These would be nice to have this variety of natural foods to pack in lunches!